The modern Zala Springs Golf Resort, situated on the spectacular location adjacent to the Zala River and near Lake Balaton is designed to become one of Europe’s new golf hotspots. 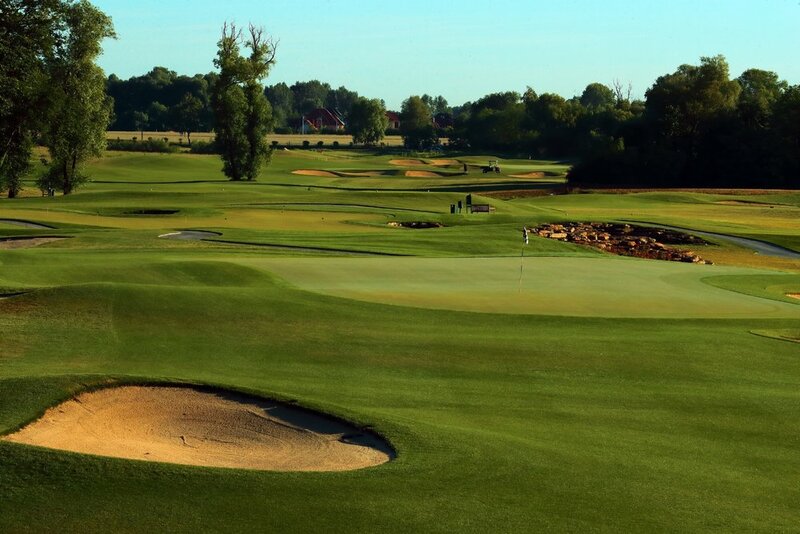 The 18 hole golf course, recently awarded with Best Golf Course in Hungary at the World Golf Awards, has championship aspirations. Over 7,000 yards long for a par of 72, the challenging lay-out is surrounded by natural reserves, lakes and vineyards. The area has similarities with the rolling vineyard-covered hills of Tuscany. Robert Trent Jones II, one of the world’s most prolific designers has designed a strategic golf course with a variety and choice of shots to be played from tee to green. Zala Springs well on its way to putting Hungary on the map as a golf destination. Zala Springs Golf Resort is located close to the town of Hévíz and Lake Balaton. It not only awaits the golfer but also all those who appreciate the outstanding quality, sophisticated design and high quality services provided in a comfortable and elegant environment. Situated in the triangle between Budapest, Zagreb and Vienna, it takes a 2 hour drive to get to the resort. Lake Balaton, Central Europe’s largest freshwater lake and one of the major tourist attractions in Hungary. Selection of Press Releases and Articles. A unique golf experience is guaranteed by one of the world’s finest course designers Robert Trent Jones II., whose outstanding career spans more than four decades. The 18 hole championship golf course is 6351 m long (PAR 72) built surrounded natural reserves, vineyards and lakes, suitable to host all international tournaments both for professionals and amateurs.